Most of the Computer keyboard shortcuts tricks make life easier and better. If you watching YouTube videos every day then you should try these shortcuts hacks on your Windows or Mac Laptop. Most of the actual YouTube Shortcuts will only work when the actual YouTube player is selected. You can control the whole site with these shortcuts like if you want to raise the video volume simply click Up arrow, Play / Pause Video shortcut is Spacebar. 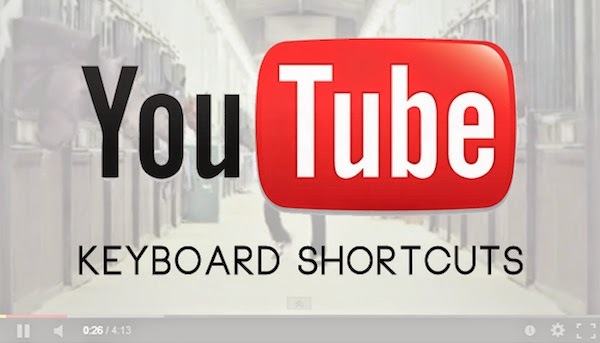 Watch How to use 30+ Keyboard Shortcuts on YouTube.